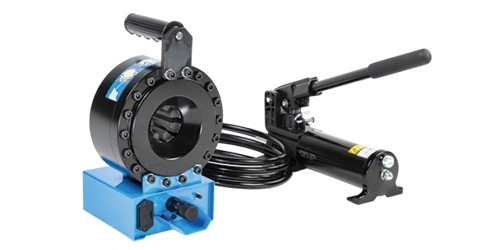 Finn-Power portable crimping machines are designed for field service when repairs must be made on-site. 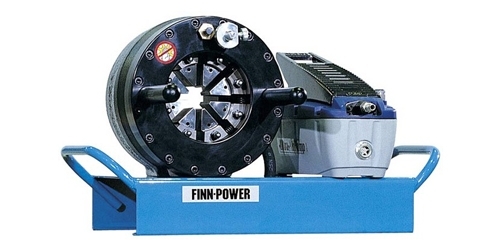 Finn-Power service machines are simple and straightforward in construction, easy to operate and highly reliable. The Finn-Power service line has selection of power packs from hand pump, air over hydraulic to battery operated solutions for finding the best fit to solve the service need. Finn-Power service line machines are also easy to carry to any location because of their light weight and portability. Finn-Power P20AP is simple and compact in construction, easy to operate, and can be easily carried to anywhere. 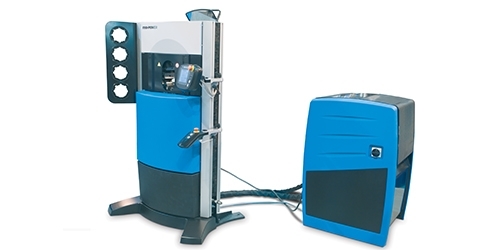 Finn-Power P20 series of crimping machines represent the “lightweights” of the Finn-Power range. They are simple and straightforward in construction, easy to operate, and can easily be carried to where they are needed. 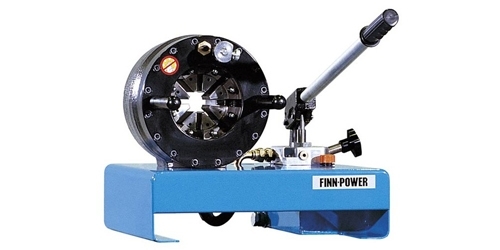 The most popular applications for these portable Finn-Power crimping machines are in repair shops and in industrial maintenance units. With standard dies. Crimping range can be increased with special dies. Maximum opening is the total die travel. Add this value to the minimum crimping diameter of the die set used. The result is the maximum opening of the machine with die set in place. In addition to the standard die sets, a wide range of special die sets for different diameters, lengths and forms is available. For more information about the machinery and service we offer, contact us.